Seventeen-year-old Taek Gi Lee from South Korea, who won this year’s Hastings piano concerto competition, as well as the highly-prized Sir Phillip Ledger CBE award, will perform at Fairlight Hall on Saturday July 5 when he gives the annual prizewinner’s recital. Music lovers who heard this astonishingly talented young pianist playing Rachmaninov’s piano concerto No 3 in the finals at Hastings should visit the competition’s website in order to purchase tickets for this recital and summer picnic event. Taek’s performance at Hastings was, in combination with second-placed Yekwon Soo, also from South Korea, third-placed Marcin Koziak from Poland, and the four semi-finalists, a stunning evening of musical range, depth and excellence. The quality of the Hastings competition made one commentator suggest that Hastings beats the renowned Leeds International Piano Competition. A huge accolade, and no mean feat when you consider that one of the Hastings judges was Dame Fanny Waterman, the founder of the Leeds competition. 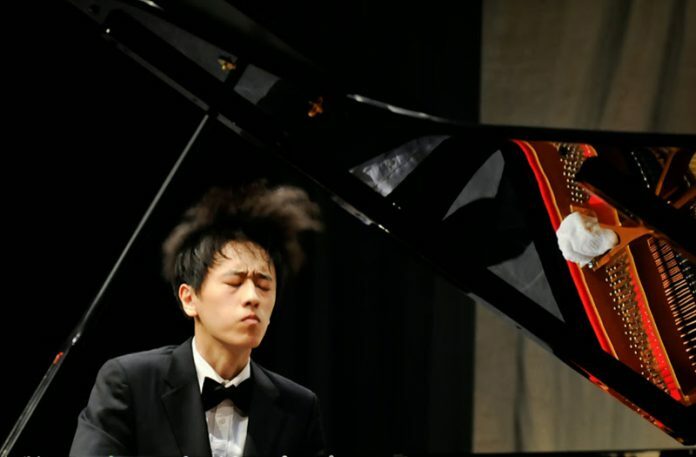 A student at the Pre-College Division of the Juilliard School in New York, Taek won the first prize of £10,000 – who could quibble with that. Surely Bach, Beethoven and Brahms would all have given their blessing. Guests may picnic in the grounds of Fairlight Hall from 3pm and the concert will start at 5pm.Tickets cost £15 and are available online from the competition website and from the Hastings Tourist Information Centre at Aquila House (01424 451111). Details can also be found at HOT (Hastings Online Times).